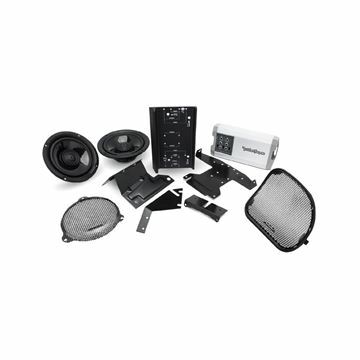 Get Power series sound quality in a drop-in speaker. 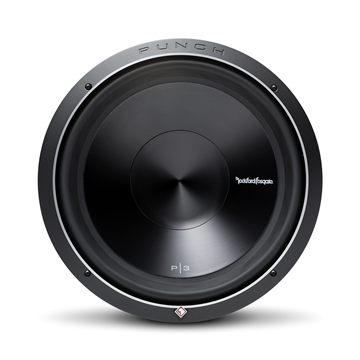 These 6.5” 2-way full-range speakers inherent all the coolest features from - their big brother - the T1 component systems. 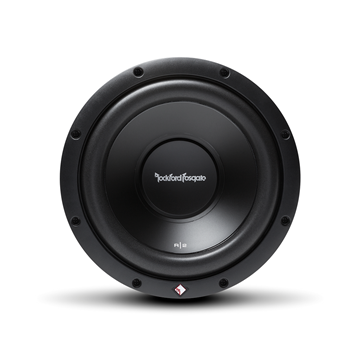 Features include a bridge-mounted tweeter and are optimized for a wide variety of U.S., European, and import vehicles. 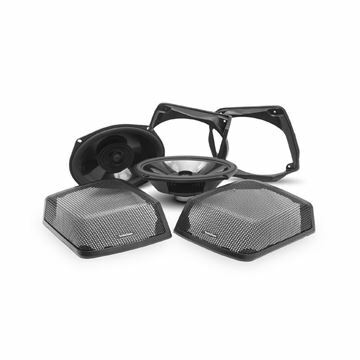 Be prepared, these are more than OEM replacement speakers, their sound quality has been perfected for true Rockford Fosgate fanatics! 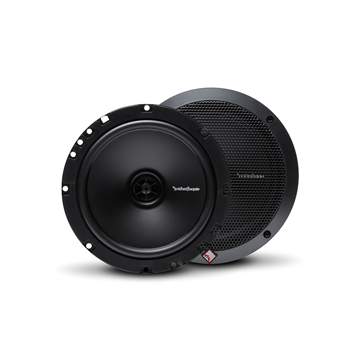 The 6"x9" Prime full-range speakers offer Rockford Fosgate sound quality at a fantastic value. Perfect for replacing factory speakers, they feature polypropylene cones and a silk dome tweeter. Includes grilles so they look as good as they sound. 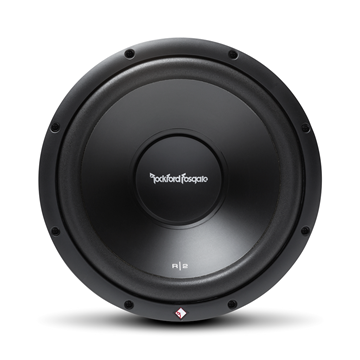 The 6.75" Prime full-range speakers offer Rockford Fosgate sound quality at a fantastic value. 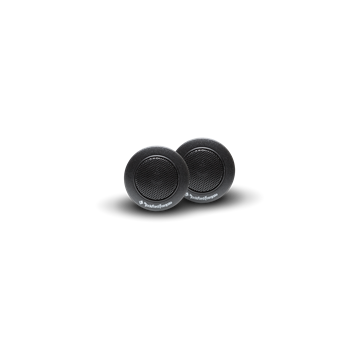 Perfect for replacing factory speakers, they feature polypropylene cones and a silk dome tweeters. Package includes grilles so they look as good as they sound. 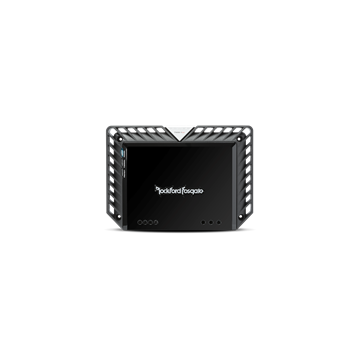 The Prime R600X5 amplifier produces up to 75 Watts into each of its 4-channels plus 300 Watts into a dedicated 5th (subwoofer) channel. 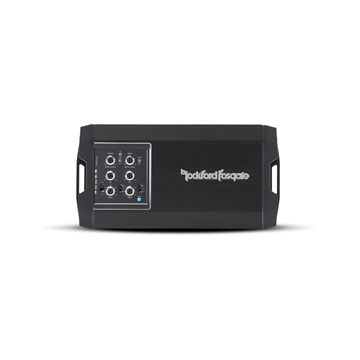 This 5-channel design makes it the perfect amplifier when you want one amplifier to run it all! 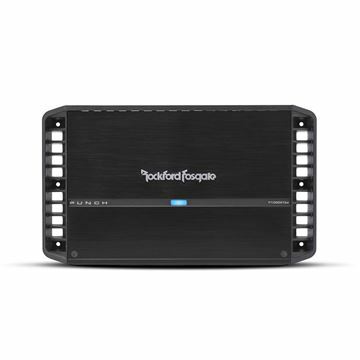 The Prime series offers quality and power from Rockford Fosgate at a great price. 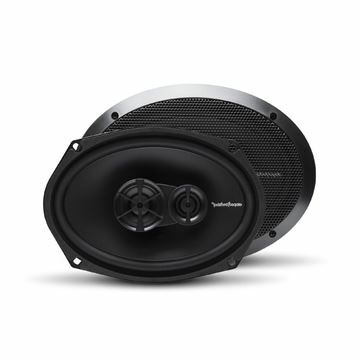 Car Audio Fanatics rock out! 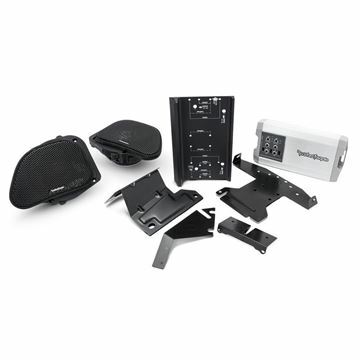 Fanatics that need a great sounding speaker to replace factory installed garbage will certainly benefit from this Punch series full-range speaker. 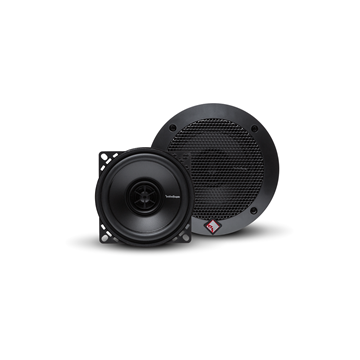 The P1675 offers a Flex Fit™ basket to ensure compatibility with odd shaped factory speaker locations and an ICC (Integrated Concealed Crossover), eliminating the need to mount any black boxes. 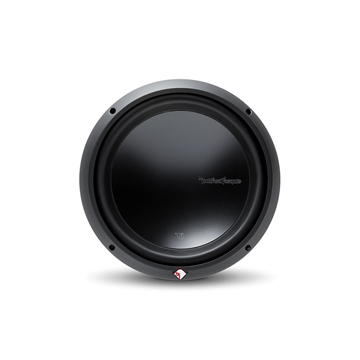 The PPS4-6 Punch Pro is a 6.5" midrange loudspeaker engineered for high SPL (Sound Pressure Level) conditions. 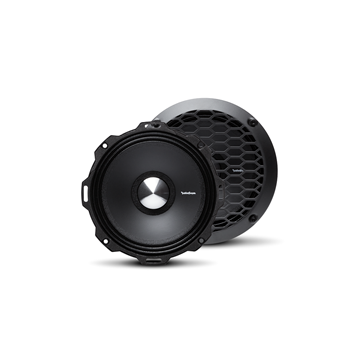 The oversized motor structure and high temperature voice coil, combined with a fiber reinforced paper cone and corrugated treated cloth surround create the foundation for a highly sensitive speaker that can handle plenty of power. You'll be proud, because these things are loud! Includes protective grilles. 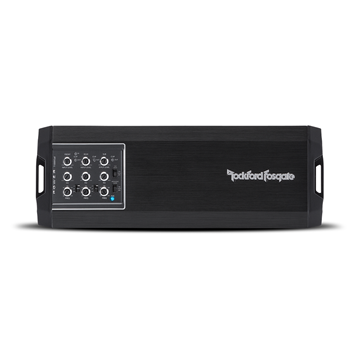 The T1000X5ad Element Ready multi-channel amplifier is a 1000 watt RMS unit built on our proprietary Class ad platform designed to deliver unprecidented sound quality with superior power efficiency. 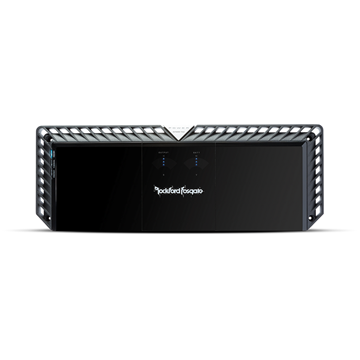 Combined with our Constant Power technology, this amplifier can easily exceed its rated power by up to 25% additional output per channel. 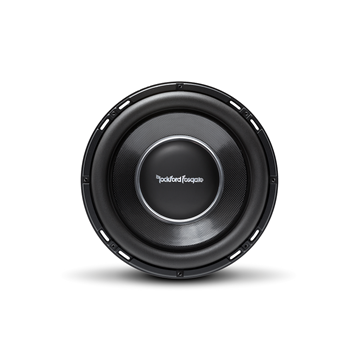 The T1000-4ad combines sound quality characteristics of Class-A designs with efficiency of a Class-D in one remarkable package. Superior sound quality is possible through the implementation dynamic switching frequency control. The addition of Constant Power circuitry produces optimized output at a range of impedances. 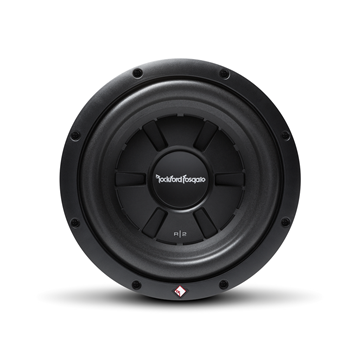 Rockford Fosgate created Class-bd for brute power to run low frequency subwoofers, and now Class-ad offers high fidelity in a full-range configuration. The new Constant Power amplifiers are the most powerful amplifiers on the market PERIOD! The T1000-1bdCP is based on the legendary T1000-1bd amplifier design with a proprietary "Constant Power" configuration delivering up to 25% more power (Watts) across all impedance loads. The listening experience is cleaner, louder and more impressive than ever before. 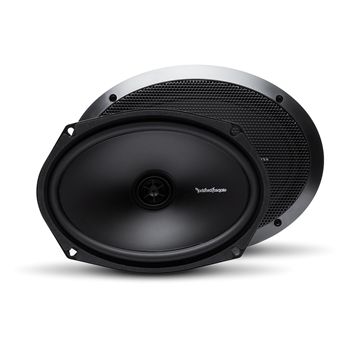 The T1000-1bdCP, pumps out a heart-stopping Kilowatt, enough power for any reasonably sane subwoofer system. 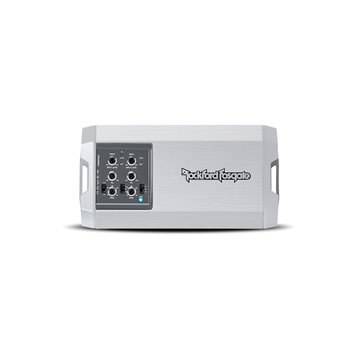 The new Constant Power amplifiers are the most powerful amplifiers on the market PERIOD! The T1500-1bdCP is an amplifier for subwoofers based on the legendary T1500-1bd amplifier design with a proprietary "Constant Power" configuration delivering up to 25% more power (Watts) across all impedance loads. The listening experience is cleaner, louder and more impressive than ever before. 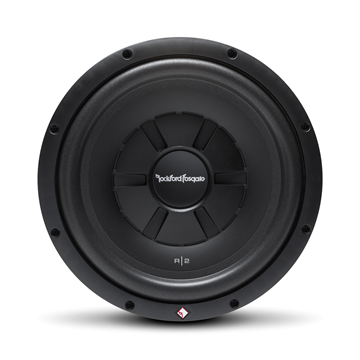 At 1,500 watts, this monster will run any demo vehicle competing in Sound Pressure Level. The T2500-1bdCP is based on the legendary T2500-1bd amplifier design with a proprietary "Constant Power" configuration that delivers up to 25% more power (Watts) across all impedance loads. 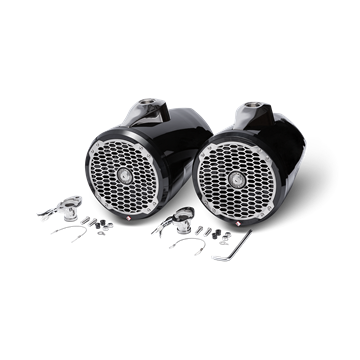 The result is a listening experience cleaner, louder and more impressive than ever before. 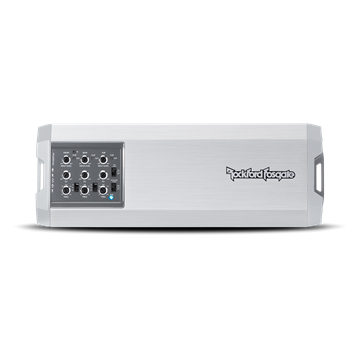 This T2500-1bdCP amplifier pumps out 2,500 watts, easily driving any array of woofers wired to a 1-ohm load. 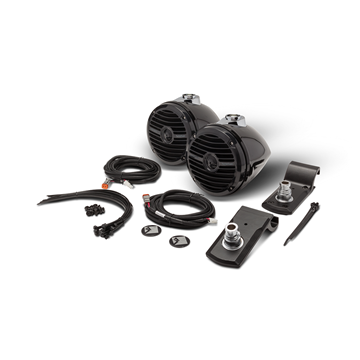 Use two amps in Power-Sync mode for a whopping 5,000 watt power horse! 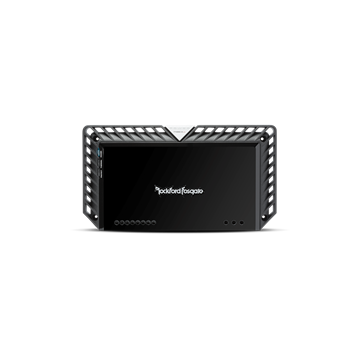 The T400-4 amplifier is perfect for front/rear fading stereo systems or when dedicated amplification is required between front stage speakers and rear subwoofer(s). Thanks to the Dynamic Thermal Management, the small chassis design insures it can be installed in any location – like under front seats. 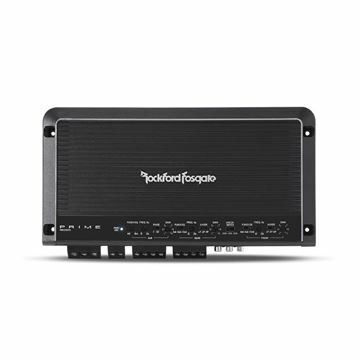 The Power T400X4ad 400 Watt 4-channel ultra-compact, amplifier is built on Rockford Fosgate’s proprietary Class-AD technology, featuring Constant Power to produce the same output at both 4-Ohm and 2-Ohm impedances. Flexible vehicle integration enabled through low-level and high-level inputs with auto turn-on. 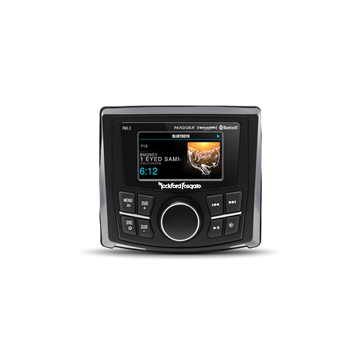 Top mounted controls allow easy access to built-in crossover and C.L.E.A.N. input/output clip detection circuits. 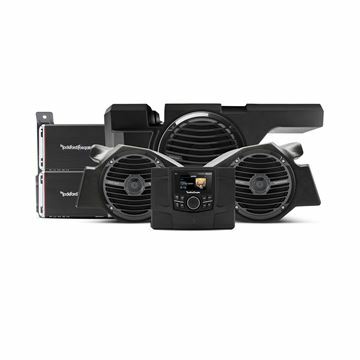 The 3-stage thermal lock extrusion with dual fan forced induction keeps everything cool while real-time thermal/protection schemes safeguard the amplifier. 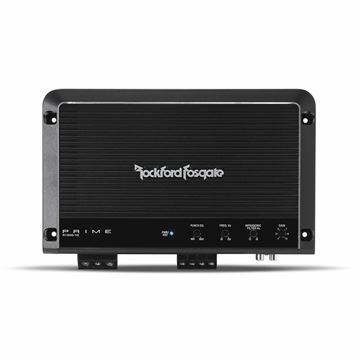 The T500-1bdCP is based on the legendary T500-1bd amplifier design with a proprietary "Constant Power" configuration delivering up to 25% more power (Watts) across all impedance loads. The listening experience is cleaner, louder and more impressive than ever before. 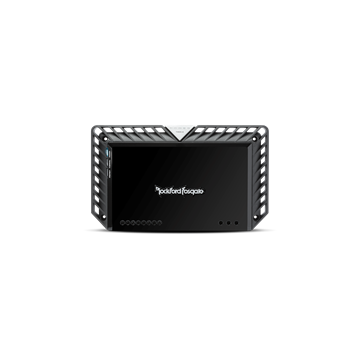 With the T500-1bdCP, you can now use an "under-the-seat" dedicated subwoofer amplifier to drive two 4-Ohm DVC subwoofers. 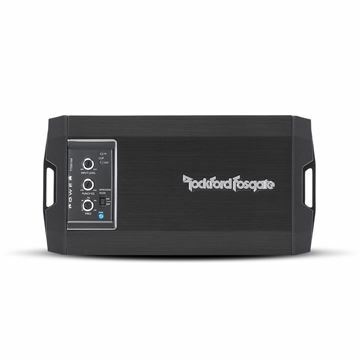 This amp will provide enough bass to separate you from those envious car audio geeks. 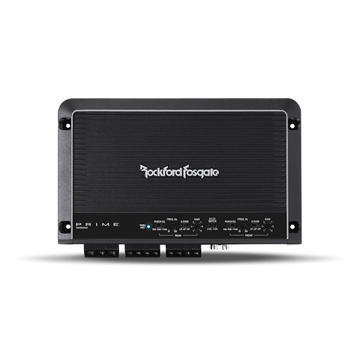 The Power T750X1bd 750 Watt mono, ultra-compact amplifier is built on Rockford Fosgate’s patented Class bd technology platform. This design creates a highly efficient design that reduces the electrical impact on the vehicles charging system by using the efficient Class D technology while maintaining fidelity combining it with Class b topology. 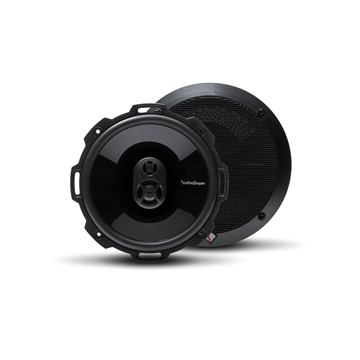 The PRIME series Component System kits are a new generation of factory replacement speaker delivering authentic Rockford Fosgate sound. 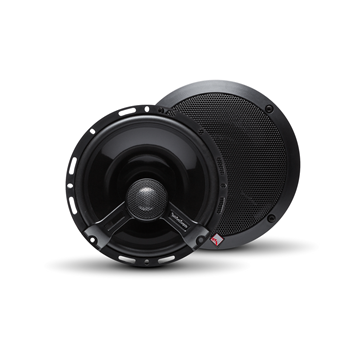 The R1T-S is a dedicated tweeter system featuring a lightweight Mylar® dome for high sensitivity and smooth extended frequency response. This low distortion material allows accurate reproduction of high frequencies for an open sound stage. 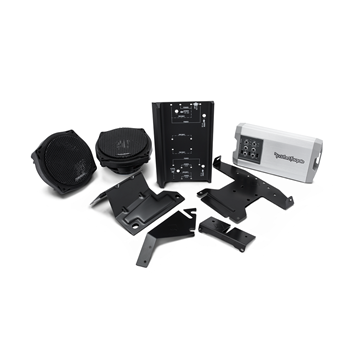 Multiple tweeter mounting configurations allow flush, surface and angle configurations. The Prime R1200-1D subwoofer amplifier offers high efficiency through the implementation of its Class-D circuitry while delivering rich, full bass to any system. 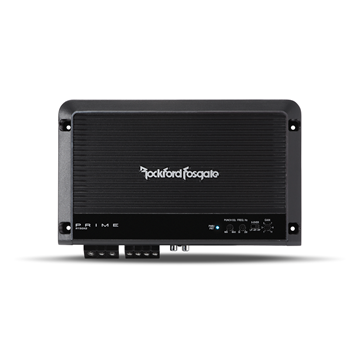 This car amplifier is optimized for subwoofers with the implementation of an infrasonic filter to keep those ultra-low (inaudible) bass notes from damaging your subwoofer system. Match with a 4-channel stereo amplifier for your mids/highs and you'll have a Rockford Fosgate system that any Car Audio Fanatic will envy. 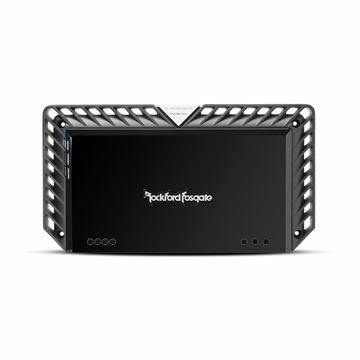 Rockford Fosgate amplification at an unbelievable value. 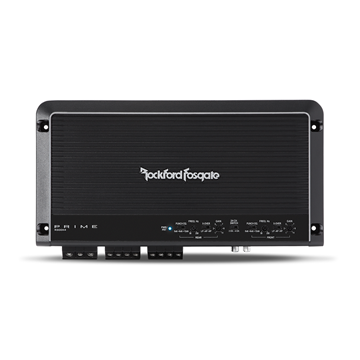 The R300X4 4-channel amplifier is so versatile, it will be the only amplifier your system needs. 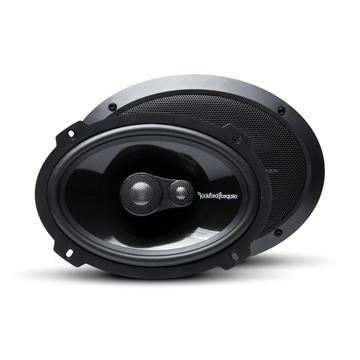 Full-range or component speakers on the front channels and a single R1S410 10" or R1S412 12" woofer bridged/mono on the rear. Consider your system clean, loud and done!. 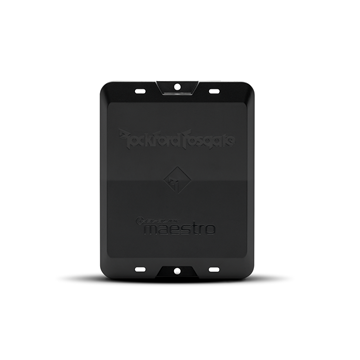 Check out our RFTECH:Woofer WiringWizard to get the most out of your amplifier. 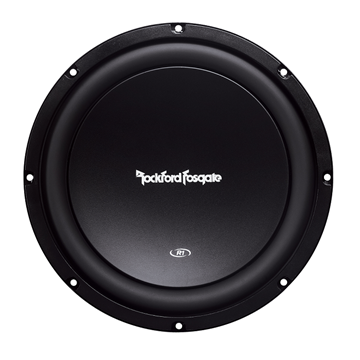 The 4" Prime full-range speakers offer Rockford Fosgate sound quality at a fantastic value. Perfect for replacing factory speakers, they feature polypropylene cones and a silk dome tweeter. Includes grilles so they look as good as they sound.